It’s hard to enjoy a hike or trail run if you have to deal with blister and irritated feet. That’s why its important to use a high-quality sock when performing outdoor activities. While there are many performance socks on the market, manufacturers like Lorpen, incorporate their own technologies that are designed to wick away moisture, and provide proper cushioning. 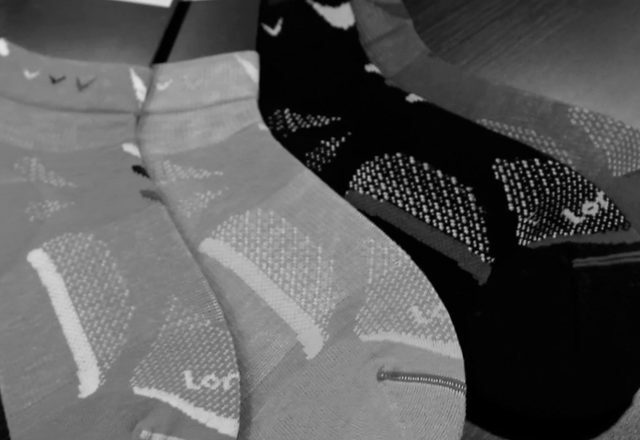 We had the opportunity to meet up with Cathy Wayne, Lorpen’s Key Account Manager, who took the time to explain the company’s Tri-Layer sock technology, and how it works to keep your feet dry and comfortable.